File under Curious. The Unfinished Swan, an XNA project from indie coder Ian Dallas, is a novel take on the FPS genre, set in an entirely colorless world. Don't worry, it's not one of those 'bringing color back to the Kingdom Of Sad' lamefests. 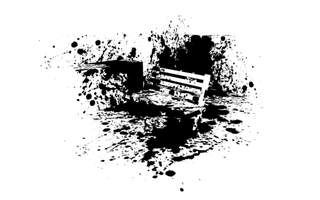 Instead, you need to reveal the landscape around you by firing blobs of ink against the contrast-free scenery. The paintballs seem to have some weight to them to, so objects in the world will react physically, adding to the puzzle. This is just a tech demo, so it's not clear if there will be NPCs, traps, albino grues or whatever. Looks cool though, wouldn't you say?